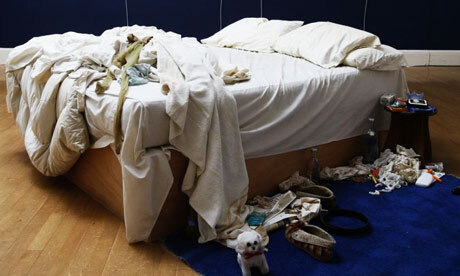 To what extent is it possible for ‘My Bed’ to provoke the emotions of the audience, if Tracey Emin had just brought her bed to the museum and called it an ‘art piece’? To what extent is the emotion and sense perception of the audience towards Hitler’s water color painting affected, by the contextual knowledge of the artwork? To what extent could have Rembrandt’s emotions played a role when he drew his own self-portrait?